Combine all the ingredients and leave to marinade overnight. Put about 4 cubes of lamb on each skewer. 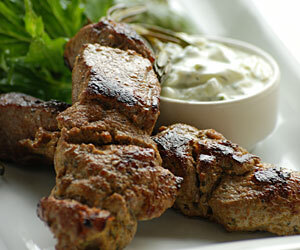 Combine with yogurt, mint and garlic in a bowl, season to taste and serve with the kebabs.